Chartered in 1905 by Lowell S. Lillibridge and P.M. Fulton (a druggist by trade), First Fidelity Bank began as the Burke State Bank in Burke, South Dakota. One building served as a drugstore, grocery store and bank. For health reasons, P.M. Fulton moved to Arizona in the mid-20s, and sold his shares to Lowell S. Lillibridge. The present bank office and HQ was constructed in 1922. Lowell S. Lillibridge died September 23, 1930. 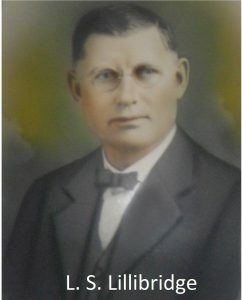 His son, L.L. (Lowell Louis) Lillibridge, who was 20 at the time, returned from the University of Chicago to assume management of the Burke State Bank. 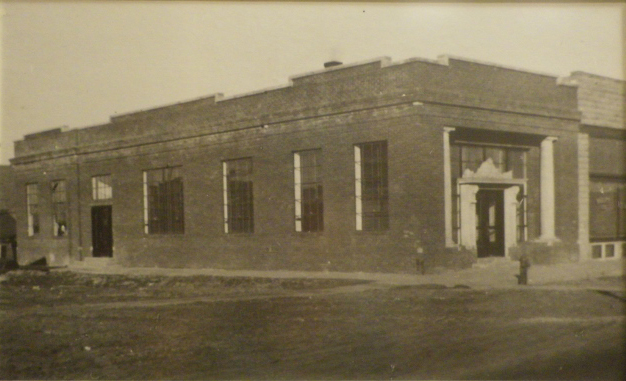 In the early 1930’s, the Burke State Bank opened a branch in Bonesteel. L.L. Lillibridge and associates purchased the Jones County State Bank (in Murdo) in 1949, and the Citizens Bank of Colome in 1956. In 1972, the names of these three banks were changed to First Fidelity Bank, although they each continued to operate under their own separate charter. Also in 1972, First Fidelity Bank of Burke established a new branch in Platte, and in 1984 the bank purchased its Gregory branch from United National Bank. Then, in 1986, the three separate First Fidelity Bank charters (Burke, Murdo and Colome) were merged into one First Fidelity Bank under the original 1905 charter. In 1990, Ranchers National Bank in Winner was acquired, making a total of seven First Fidelity Bank offices in South Dakota. 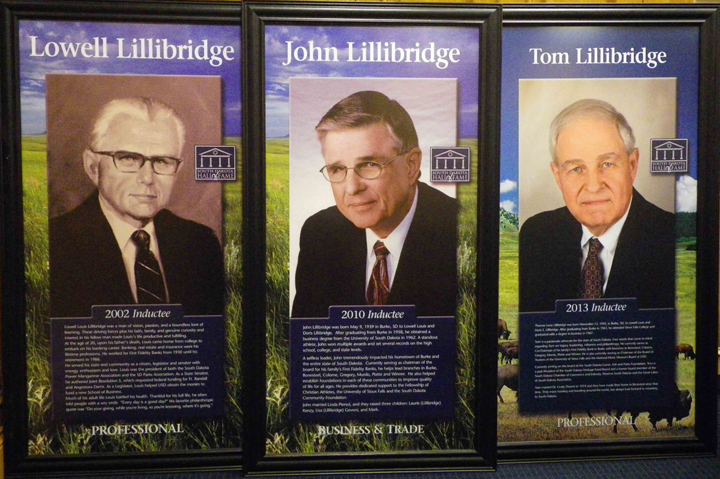 John L. Lillibridge and Tom L. Lillibridge are the third generation of Lillibridges involved in the bank. John, the eldest son of L.L. Lillibridge, joined the bank in 1962, and five years later Tom, the youngest son, also joined the bank. John was bank President from 1969 until 1982, when Tom became President. Tom served as President until January, 2001, when George Kenzy became President. John was the former Chairman and remained Chairman Emeritus until his death in August of 2018. Tom was Co-Chairman of the Board of Directors until his death in August of 2017. George and his wife Laurie (John’s eldest child) are the fourth generation to be involved in the bank. George is currently Chairman, President and CEO. 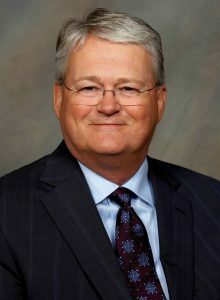 A strong local identity and continuity of leadership have made the bank an integral part of family and business life in the communities served by First Fidelity Bank. It seems that as big banks just keep getting bigger, they know less and less about the folks they serve. Broad policy decisions are made on a national level. We are proud to be a family-owned community bank. We are strong enough to stand on our own, yet small enough to understand and appreciate the real-life needs of the people we serve. First Fidelity Bank offers all the benefits of a full-service bank. We know that staying in touch with the needs of our customers remains the key to continuing success. We believe in first class banking on a first name basis.